In late May 2012 I flew to Houston, Texas for a quick business trip and had a free afternoon. 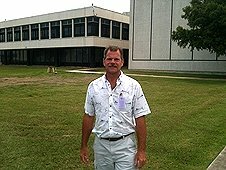 Not wanting to do the typical tourism, I decided to call a friend at the Johnson Space Center to see if he was available for lunch or to get together. 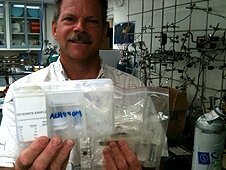 My friend is distinguished scientist, Dr. Everett K. Gibson, Senior Scientist and Astrobiologist from the Astromaterials Research Office. It is located in the Lunar Curatorial's Return Sample Facility in Building 31 at NASA Johnson Space Center. 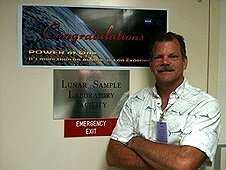 He answered the phone without delay and, instead of lunch, he invited me up to his office and would give me a special tour of his labs and the ultra secure lunar and planetary vault that holds some of America's national treasures, the actual moon rocks brought back to Earth during the Apollo missions. What an honor and privilige! I quickly agreed to drive up in a cab. Upon arriving, Everett took me to several of the laboratories and introduced me to many of his colleagues. 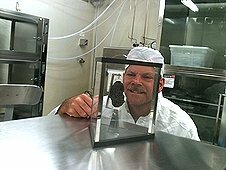 While walking the halls on the special tour, we ran into Dr. Michael Zolensky who I met several times in past years and occasionally supply him with special meteorites upon request. 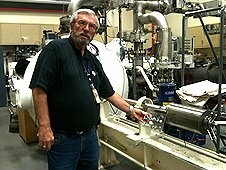 He said he was heading to his microprobe lab where he had a sample from the Sutter's Mill carbonaceous chondrite that should be ready to decipher the data from the last analysis run. 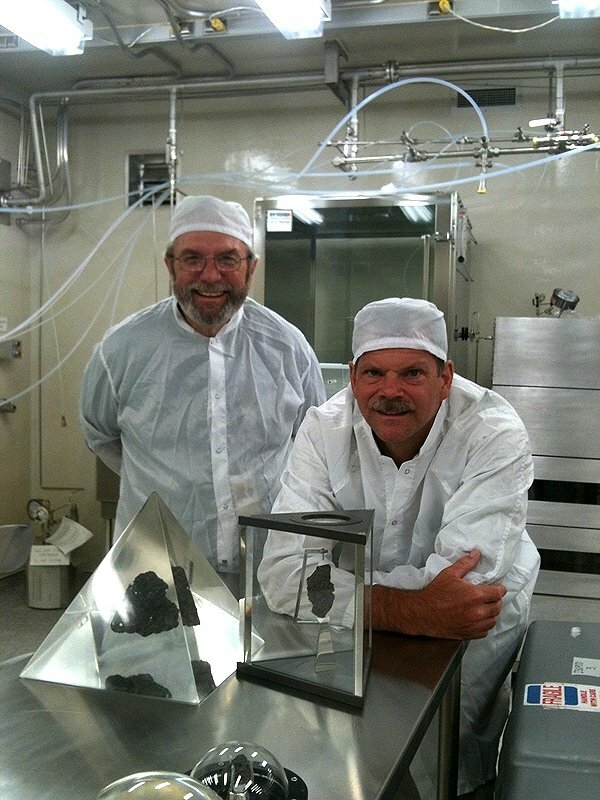 It was pretty exciting to sit down next to him and his colleague listening to them determine what the analysis revealed from this very special meteorite. 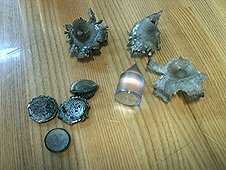 I had just been hunting for meteorites at Sutter's Mill just days prior to this visit. 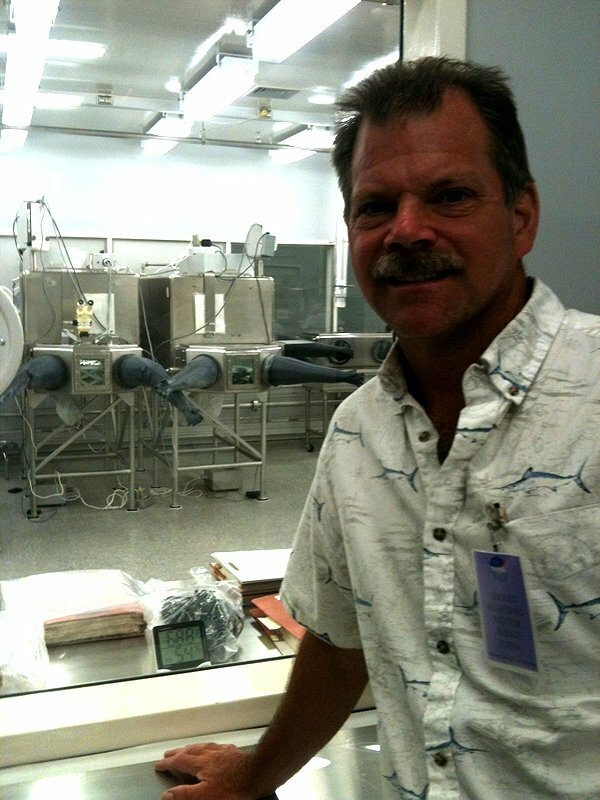 Everett then took me to the special vault room that all of us want to visit, the Apollo 'Lunar Sample Laboratory Facility'! 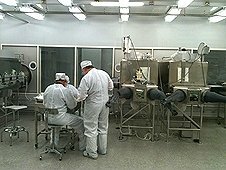 After going through several secure clean rooms and gearing up in our white 'bunny suits' to keep from bringing in contaminants, we were led into the inner sanctum. Here Everett introduced me to two more collegues, Dr. Andrea Mosie, Senior Processor in the Lunar Curatorial Laboratory and Dr. Ryan Ziegler, Lunar Curator. Without hesitation, many moon rocks were brought out for me to inspect and be dazzled by. 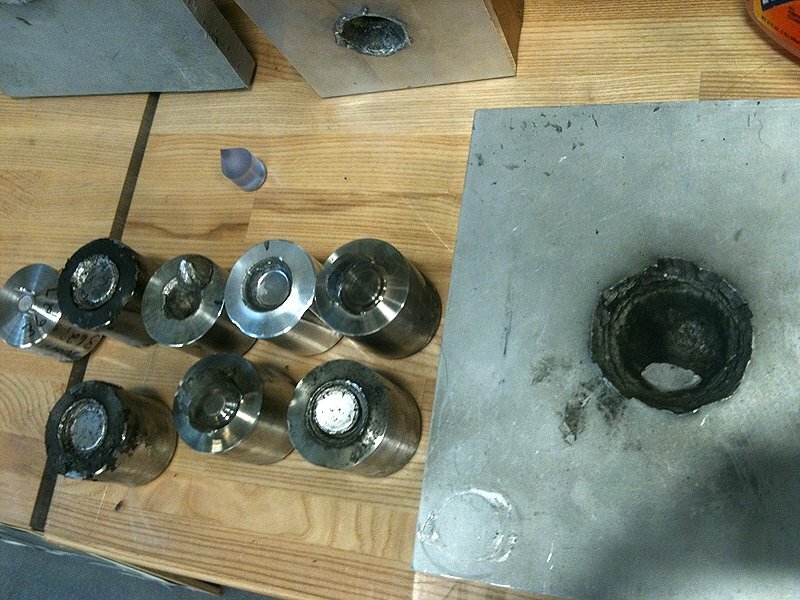 Several were encased in Acrylic or glass containers from early-year experiments in preservation and display. 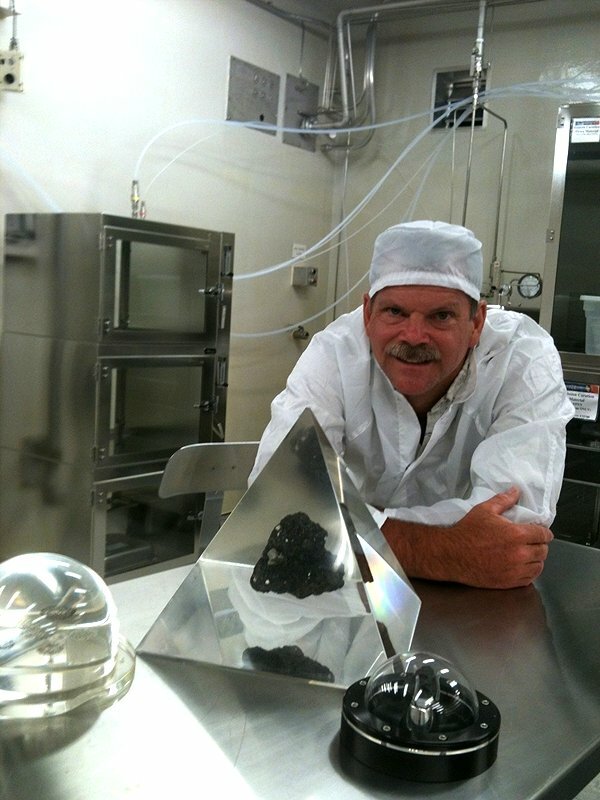 In the vault was also many samples from the coveted Martian meteorite, ALH84001. This spontaneous trip to visit a friend was turning into a once in a lifetime dream come true!! 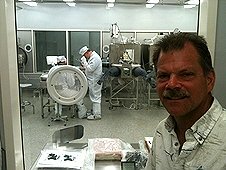 While in the vault, I was able to observe through a glass dividing window the ultra clean room where scientists were working on different moon rocks for use in specialized experiments. 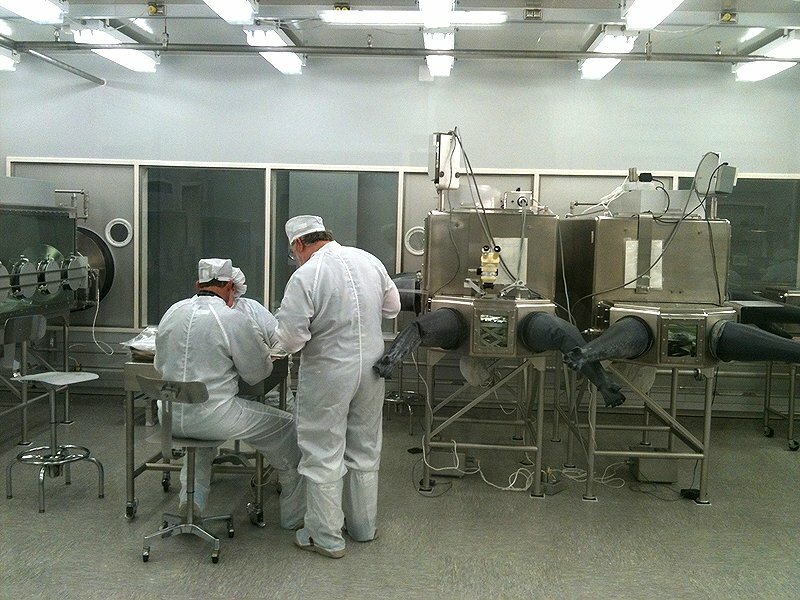 I was told that it can take months or years for scientists to have access to that most inner clean room. If the room had not been occupied, I was told I would have been taken in there as well. Naturally I suggested that I could possibly come back at a later date for that special tour. I was assured that 'would' happen some day and to plan for it! I had an amazing afternoon that day and felt like an honored guest. Thank you, Everett! 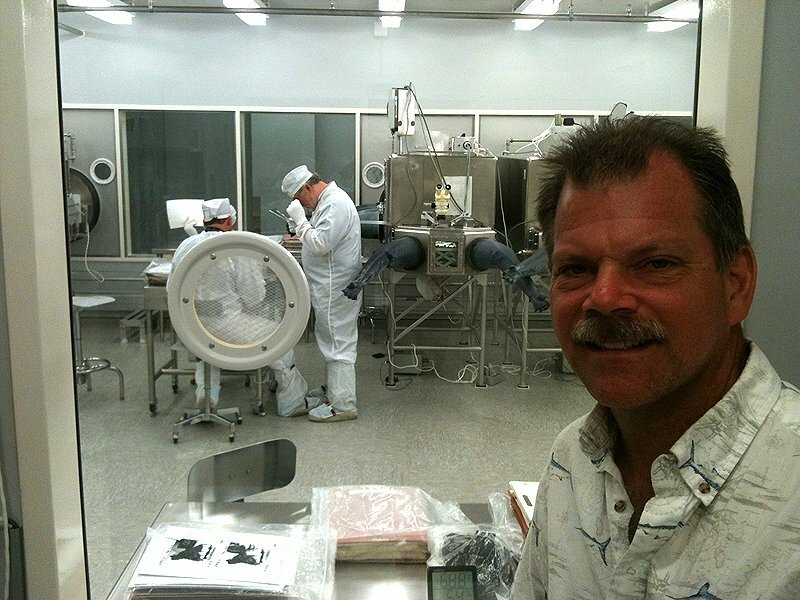 Greg Hupe at Lunar Curatorial's Return Sample Facility in Building 31. Dr. Simon Clemett's Laser Desorption Analysis Instrumentation. 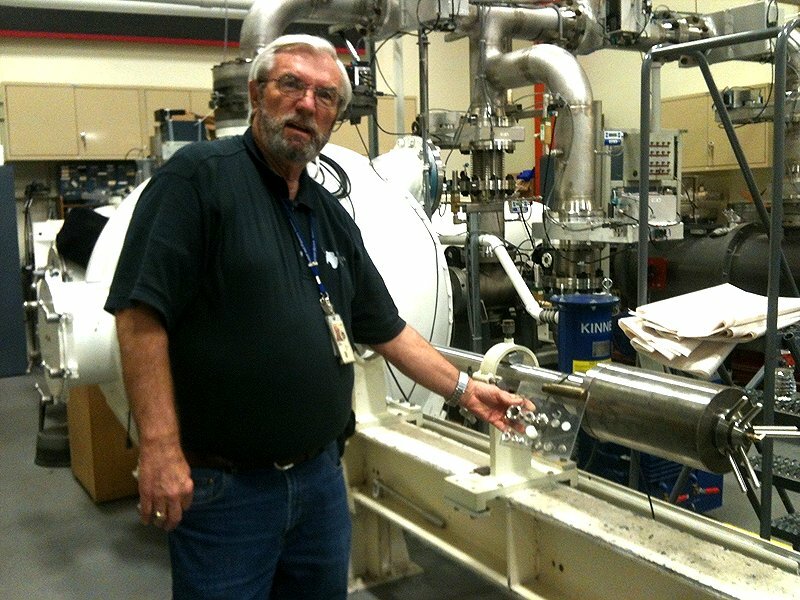 Dr. Everett Gibson standing by the Light Gas Gun in a JSC laboratory. 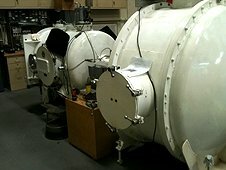 Two vacuum chambers for use with the Light Gas Gun. 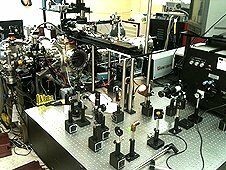 Targets from various experiments using Light Gas Gun. Note plastic projectile. 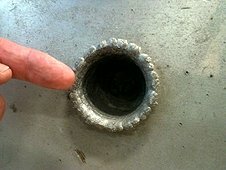 Explosive crater produced in 1 inch thick aluminum metal. Melted plastic and flat plates that were accelerated in Light Gas Gun. 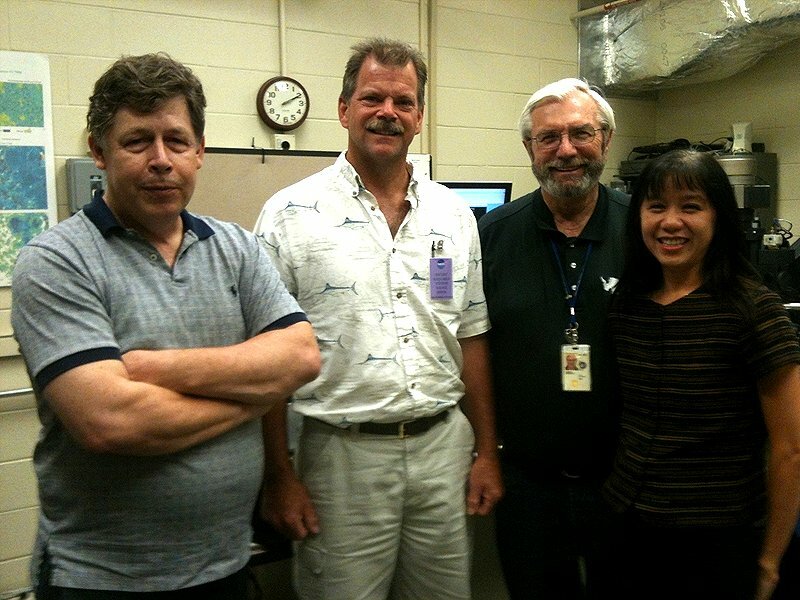 Greg with Dr. Mike Zolensky and Loan Le in electron microprobe laboratory. 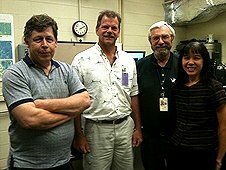 Dr. Mike Zolensky, Greg Hupe, Dr. Everett Gibson and Loan Le. Secure Lunar Curatorial's Return Sample Facility in Building 31. Just about to gain entry into the extra secure moon rock vault! 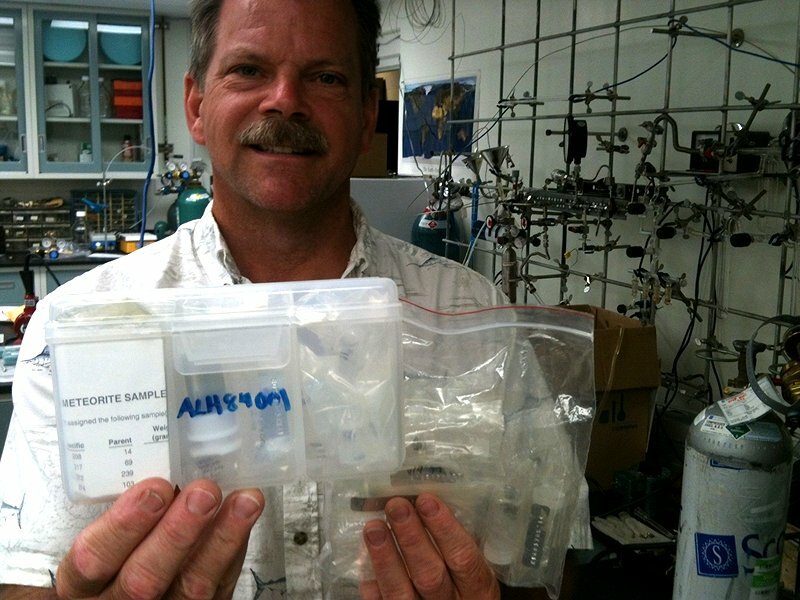 Greg holding a bag containing ALH84001 Martian meteorite samples. 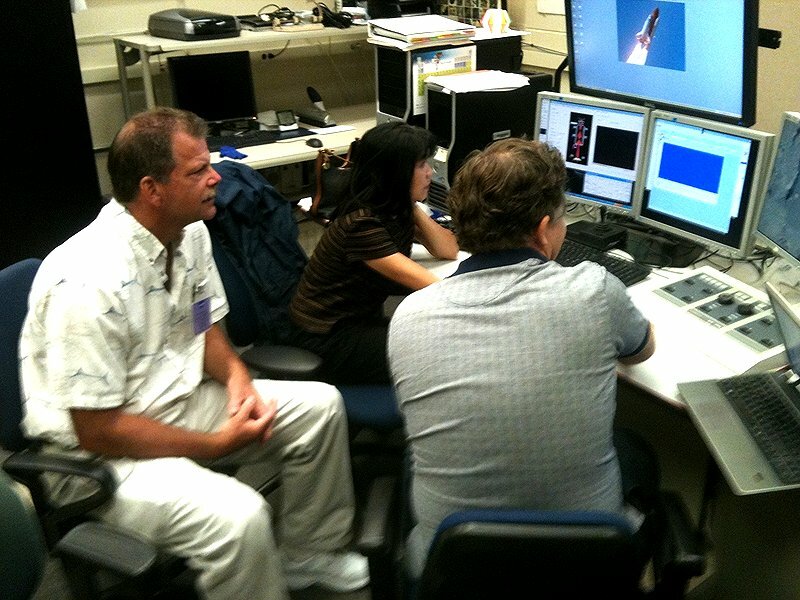 Greg observing scientists in the ultra clean room. Scientsts working inside the lunar sample vault. Apollo 15 lunar rock held in place by calipers in protective case. 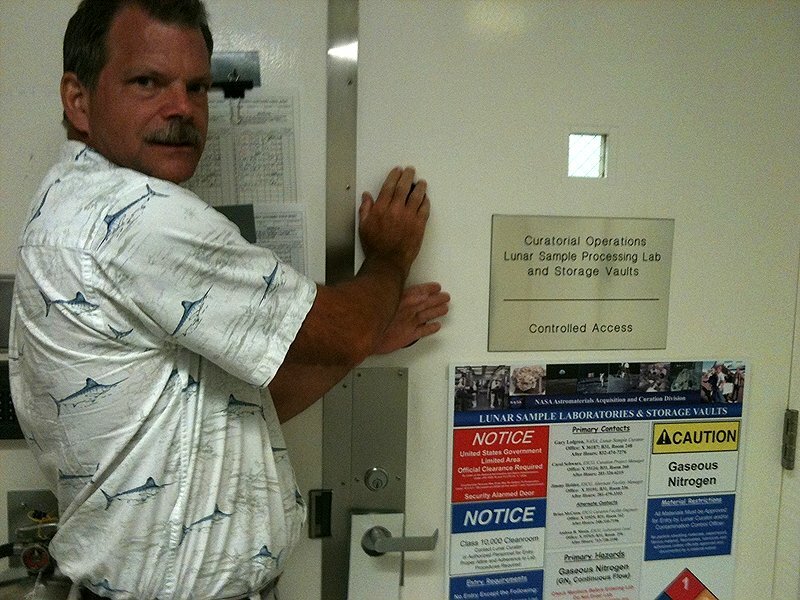 Greg wanting to gain access to the ultra clean room. 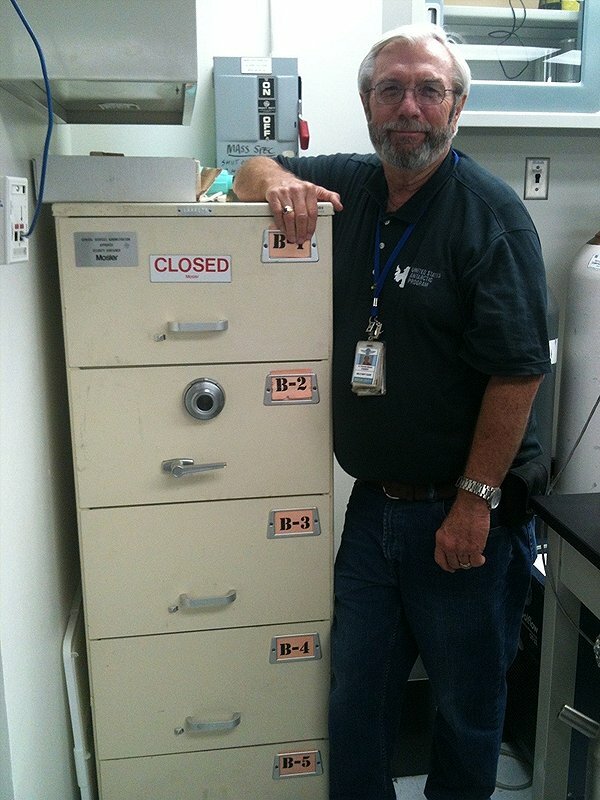 Everett with his office safe containing moon and Martian samples. 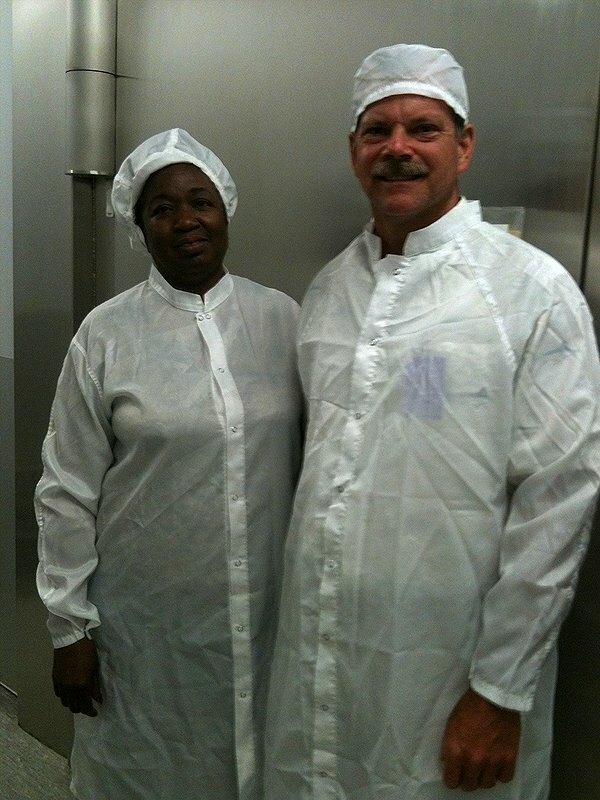 Greg with Andrea Mosie, Senior Processor in the lab. 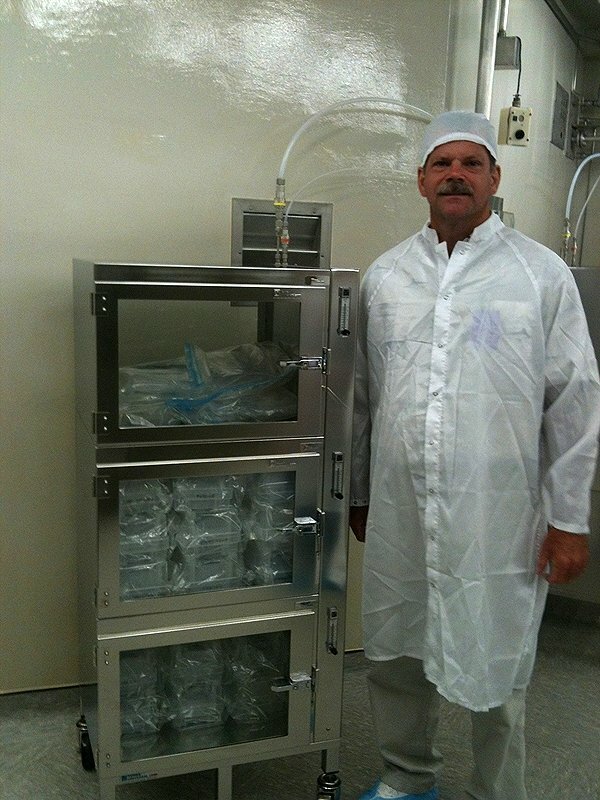 Greg next to cabinet containing ALH84001 Martian samples. 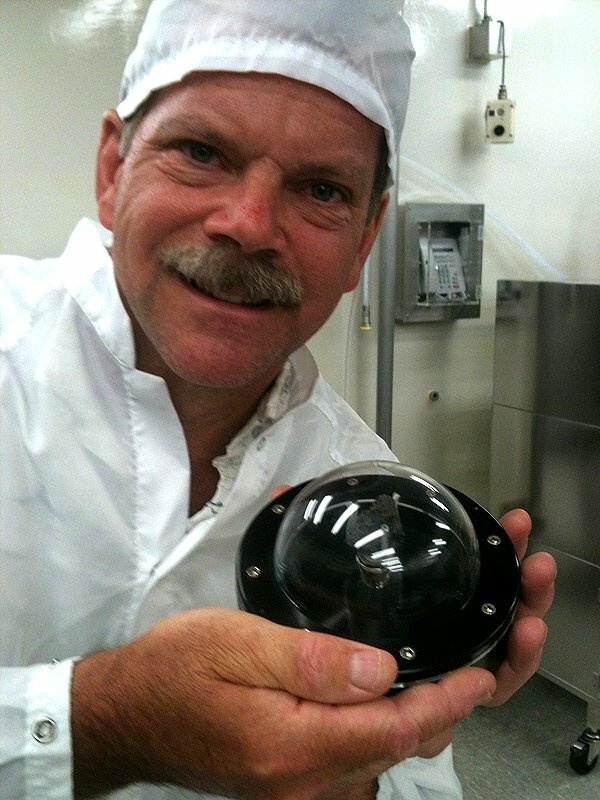 Greg holding Acrylic dome with moon rock samples. Apollo 14 lunar rock Sample in pyramid. Everett and I with samples of Apollo 14 (left) and 15 (right). 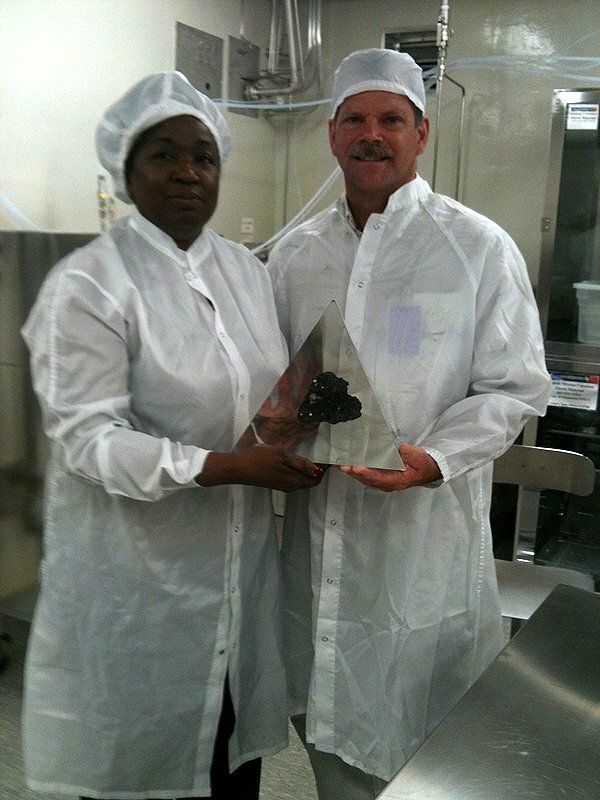 Andrea Mosie and Greg with Apollo 14 sample. 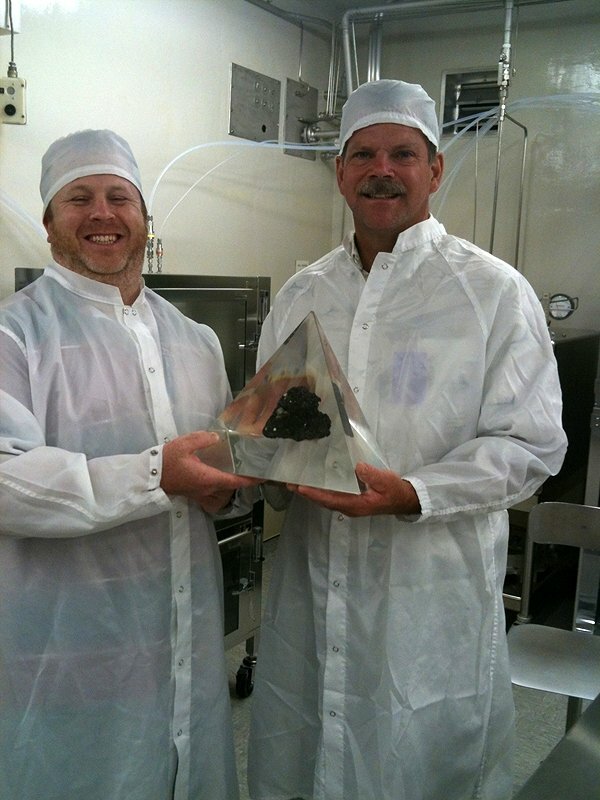 Dr. Ryan Ziegler and I with Apollo 14 sample. 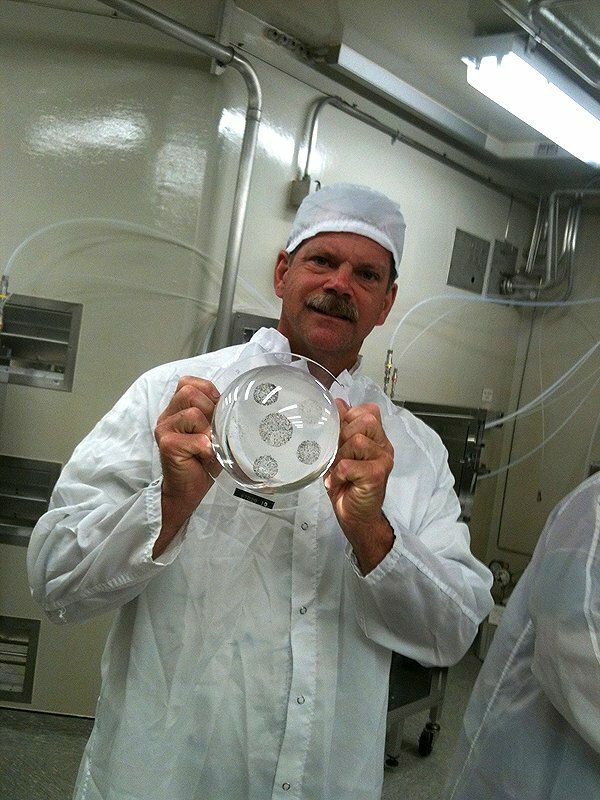 Greg holding Apollo 11 moon rock sample.